Europe – Clay Paky’s award-winning hybrid fixture, the Mythos, has joined Brandon Flowers on his European tour, with lighting designer Steven Douglas making full use of its multi-functionality for the majority of the show’s stunning looks. 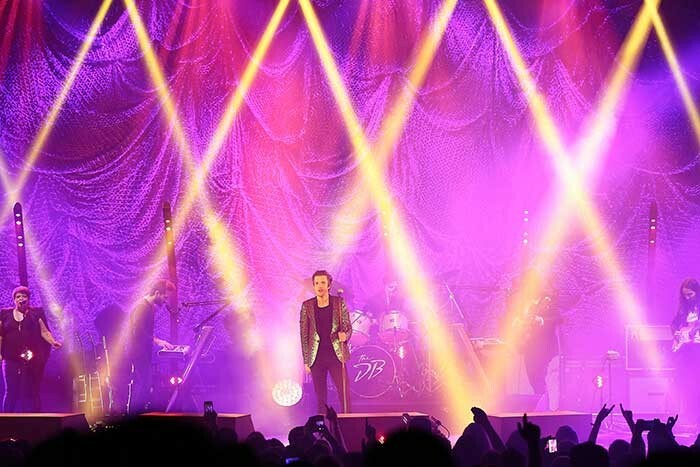 Playing across such countries as Ireland, Germany, Italy and the UK, The Killers’ frontman was out in support of his ‘The Desired Effect’ solo album campaign. 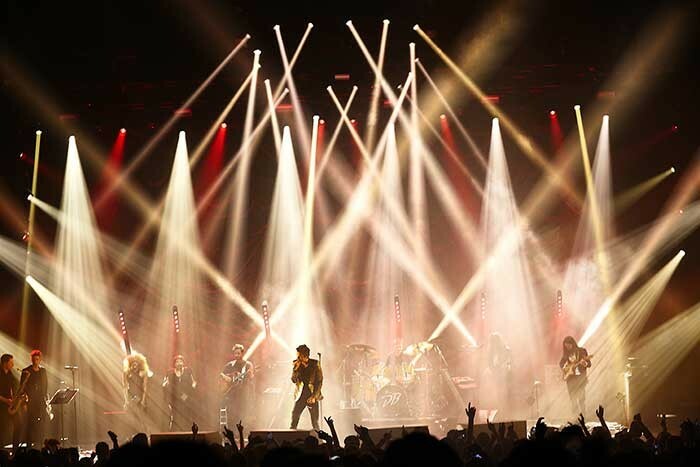 Douglas has been working with Flowers and the Las Vegas-based rockers for over ten years, building design ideas from scratch for each of their highly successful tours. For Flowers’ run of solo dates, Douglas’ design was centred upon defined beams of light to create an architectural feel, employing six Mythos as the workhorses of the floor package. Supplied by Neg Earth, Douglas also specified some A.leda B-EYE K20s, which he placed on stage around Brandon Flowers’ centre position. The Mythos were positioned on the floor upstage behind the band. “I was very interested in trying out the Mythos for this tour as we needed to maximise impact with minimal trucking space,” says the designer. “We were touring everything in one truck including backline, set and audio therefore being able to have the best of both worlds out of one fixture made them ideal. Versatility was also in mind when choosing the B-EYEs – they are a great effects light as well as a simple LED wash.
For Flowers’ O2 Academy Brixton dates in the UK, Douglas decided to ramp up the impact with an extra 16 Mythos in a square above the downstage mic position. 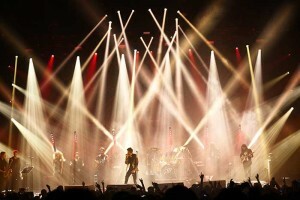 He also added an array of Clay Paky Sharpys, Sharpy Wash 330s and Stormy CC fixtures. 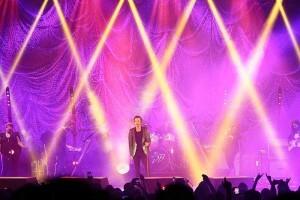 Brandon Flowers’ tour has now moved into its US leg, playing dates throughout the rest of the summer.